Senior Writing Instructor, Mike Copperman, is a finalist for the 2018 Oregon Book Award in creative nonfiction. 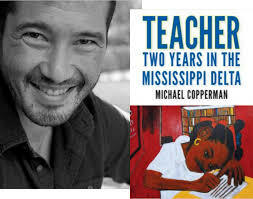 With the hardcover edition already sold out and a paperback version on its way in March, the success of Teacher: Two Years in the Mississippi Delta is already established. Yet becoming a finalist for this prestigious award recognizes the importance of Mike’s memoir and the experiences it relates about working as a fourth-grade teacher in rural Mississippi. School superintendents, educators, and writers around the country praise the book‘s candid descriptions of entrenched inequality across the United States that the day-to-day life of a teacher makes visible. Mike’s book offers insight for teachers and engaged community members alike about the possibilities and limitations of teaching in systems of socio-economic and racial oppression. Learn more about the book and its author by reading some of the online reviews and interviews, or visit the author’s website. 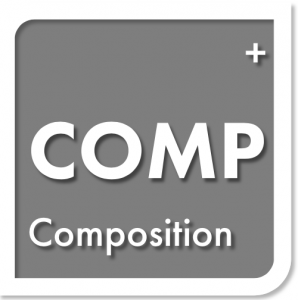 Please join UO’s Composition Program on Friday, October 27, for a Symposium on Antiracist Writing Assessment (https://arwa.uoregon.edu/). This full day of events will bring together teachers of writing intensive courses, campus leaders in antiracism efforts, and other members of the UO community working toward curricular reform to consider different designs for inclusive writing assignments and learning environments. The symposium features a writing assessment workshop led by Dr. Asao B. Inoue, whose award-winning social justice-focused work in Rhetoric and Composition engages the disproportionate barriers to success for students of color, first-generation college students, and other students from diverse backgrounds. For information about Dr. Inoue’s workshop, symposium registration materials, and additional resources for related to intersectional antiracist pedagogies, please visit the Symposium’s website at https://arwa.uoregon.edu/. Check back soon for upcoming events and information about our program!